Bean good? 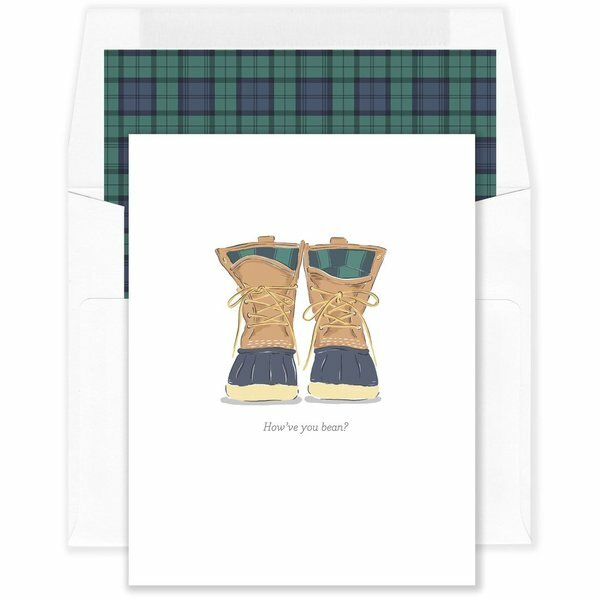 The classic Maine duck boot, now as a greeting card. 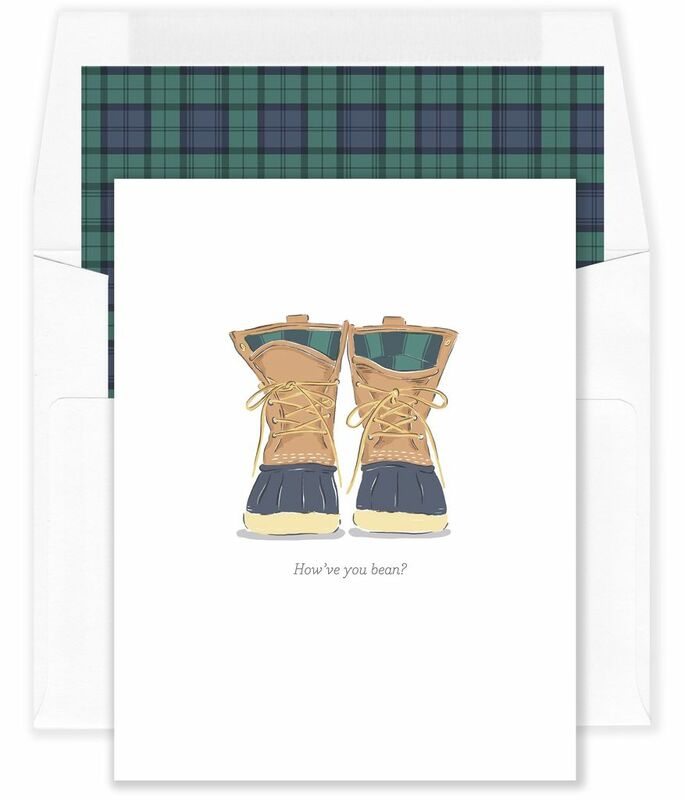 A2 with Kraft envelope and Blackwatch lining. Letterpress printed on thick archival paper.